Adolph Coors knew Prohibition was coming. An astute businessperson, he started diversifying his business holdings with real estate, pottery manufacturing, and a cement company. Additionally, a relatively new product called malted milk would help him—and Golden—survive the long prohibition on alcohol, which began in Colorado in 1916. Horlick’s advertised their malted milk heavily in newspapers around the county. This ad dates from 1924. James and William Horlick, British-born brothers living in Wisconsin, developed malted milk in the early 1880s. The delicious combination of powdered milk, malted barley and wheat was later patented in 1883. Developed as a nutritional supplement for infants and the sick, Horlick’s malted milk was often prescribed by physicians and dentists. Because malted milk was convenient, packed with nutrition, lightweight, non-perishable, and yummy, it was also a favorite amongst travelers, soldiers, explorers, and athletes. When Horlick’s patent expired in 1900, other manufacturers, like Borden, and later Coors (in 1914) would get in the game. Since malted barley is a main ingredient in both beer and malted milk, a brewery is a natural place to make the stuff. Before long Coors was advertising their malted milk to be superior to all others. Coors worked with his son, Grover, and brewer, Leonard Vogel, to develop this new industry within the Golden brewery. Its development was slow due to a need for experimentation, custom-made machinery, and simply the challenges involved with breaking into a new retail trade. However, in 1916, Foss Drug received their first consignment of family-sized jars. Coors continued making malted milk until 1957. However, Horlick’s is still available in the UK. Learn more about Coors malted milk at a new exhibit opening April 11. 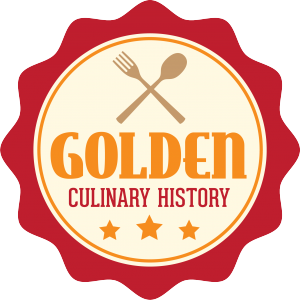 It’s the first exhibit exploring Golden culinary history planned for 2019-2020. If you have some culinary history to share I’d love to talk.